My oldest needs an updated passport complete with a new photo. At a local pharmacy, that would cost $14. JUST FOR THE PHOTO? Ca-razy. If all 5 of us needed one, that’s 70 bucks! So I needed a way to create our own passport photos for free. Even worse. On that photo, when we took the paper work in for the renewal, the clerk was concerned the image wasn’t sized correctly and likely would NOT be accepted. Did we still want to proceed? Sheesh! We sent the photos in anyway, and surprisingly all was well. I figured if the local shop barely gets it right I could do the research and create a photo for a passport on my own for less than $10 right? Hey, FREE would be nice? PLEASE read directly the Travel.State.gov passport information. But here’s what I found MOST important. Find Your Local Passport Facility http://iafdb.travel.state.gov/ usually your County Clerk’s Office. Face should be in a neutral position facing directly forward. By Far the Easiest and Cheapest: DIY Take and Print yourself via idPhoto4you.com : Following the State Dept. guidelines above or use idPhoto4you.com to resize exactly and then print on your own high quality photo paper at home. (TIP: Literally measure your photo after printed with a millimeter ruler.) You can use the photo adjustment tool from the State Department as well, but idPhoto4you.com is much easier and printing a 3.5×5 inch finished product was clear and easy to do. Here’s a CVS $2 off coupon. Also check Fred Meyers, Target and most drug store photo departments. 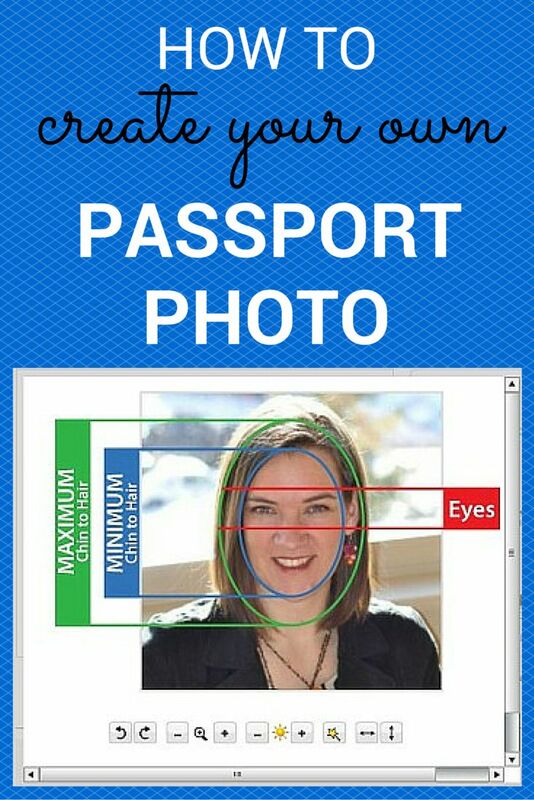 Can I remove the red-eye from my own passport photo? It is acceptable to use the red-eye reduction option on your digital camera when you are taking the photo. However, you cannot use any photo editing tool to digitally remove the red-eye from your photo. In general, you are not allowed to digitally enhance or alter the photo to change your appearance in any way. I totally wanted to remove that zit on my chin!? But I was surprised about not being able to remove red eye digitally, (simply retake until there is no red eye in your photo). Awesome. Thank you for this info! What I did was go to Walmart with the photos I took (make sure they are the right specs) to walmart. Went thru their catalog of photo cards, ones for baby announcements and party invites. Found one template that had multiple 2×2 photo slots. Uploaded the photos and only paid .44 a card. With a family of 7 this saved us a ton. There is another solution in the $7 range. https://www.passportphotos.pictures/ will professionally review your photo and then ship it straight to your door.